Qantas has become Australia’s strongest brand, surging from third place last year and improving its brand strength index to 86.6. 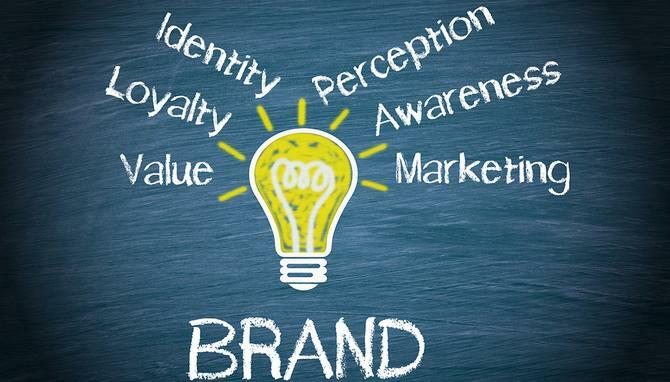 Telstra remains Australia’s most valuable brand, despite its brand value dropping 7.3 per cent, according to the latest brand value report by Brand Finance Australia. Whether Telstra will remain on top is unclear, with both Woolworths and Coles surging to take second and third place in the most valuable list, up from fourth and fifth place respectively, the former surging 23 per cent and the latter 31 per cent in brand value over the past year. According to the Australia 100 Report undertaken by Brand Finance, Commonwealth Bank (fourth) is Australia’s most valuable banking brand, despite dropping two places since last year, as the fallout from the Royal Commission hits all the banks. ANZ, which lost 13.3 per cent of brand value, and Westpac, which lost 2.3 per cent, also dropped places since last year to fifth and eighth respectively. NAB remained static in sixth place. Colonial First State was worst bank hit, with it brand value falling 28 per cent. The report measures overall brand value using revenue forecasts and the brand strength index (BSI), and also evaluates the relative strength of brands, based on factors such as marketing investment, familiarity, loyalty, staff satisfaction, and corporate reputation. Rounding out the top 10 most valuable brands was BHP in seventh, Optus in ninth, and Rio Tinto in tenth place. According to the report, Telstra’s fall in brand value was primarily driven by a decrease in brand strength as the telco continues to face many challenger brands in its key service areas of mobile, internet and landline telecommunications. Despite this fall in brand strength, it remains Australia’s fifth strongest brand. Optus’ brand value was up six per cent to $5.3 billion and increased its brand strength this year, overtaking Telstra to become the country’s strongest telecommunications brand, and Australia’s fourth strongest brand overall. Retail brands also surged ahead, despite the threat from Amazon. Woolworths and Coles both achieved steady brand value growth, with Coles also making an appearance in the top 10 strongest brands list. Across the board, the brand value of other retailers also grew strongly, with Bunnings up 33 per cent to $2 billion, Westfield up 30 per cent to $2 billion, Kmart up 35 per cent to $1.5 billion, JB Hi-Fi up 14 per cent to $1.4 billion, and Harvey Norman up 34 per cent to $1.2 billion. Harvey Norman was also listed as Australia’s second strongest brand, after Qantas, with Westfield coming in sixth. In addition, despite significant fears a year ago, the report found the arrival of Amazon into the broader Australian retail market has not yet harmed the value of Australian retail brands. Managing director of Brand Finance Australia, Mark Crowe, said Woolworth’s revival has continued, moving up two places to become Australia’s second most valuable brand. “Strong customer metrics and improved brand investment have seen Woolworths remain ahead of Coles, which has also moved up two places to claim the third rank following an increase in brand value of 31 per cent," he said. “If current growth trends were to continue, Woolworths will again challenge Telstra for the most valuable Australian brand in coming years." In contrast, Australian banks’ brand value and brand strength have both suffered in the aftermath of the Financial Services Royal Commission. While the banks’ underlying financial performance is sound, the adverse impact on brand equity will require significant brand investment to mitigate against erosion of brand revenues over the next 12 to 18 months, Crowe said. “Qantas’ brand performance is quite exceptional given that enterprise value has decreased by eight per cent. This result highlights the importance of the iconic brand to the company as it deals with increasing competition on its domestic and international routes. Brands in the airline sector have been to the fore in Australian aviation with both Jetstar (28%) and Virgin Australia (16%) also recording strong increases in value,” he said.